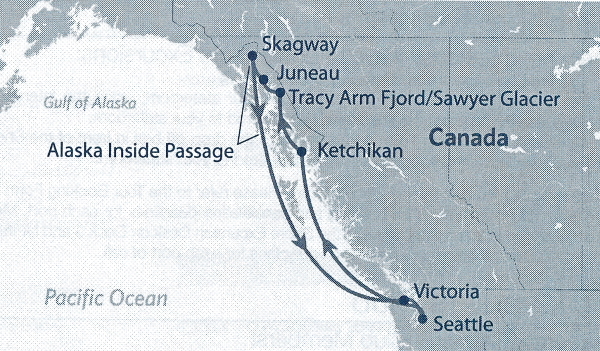 When my daughter Kristina called and said, “Mom, do you want to go on a cruise to Alaska?” I thought she meant someday. No, she meant in about a month. I had never been to Alaska or on a cruise, so of course I said yes. Plus it would mean time with Kristina. 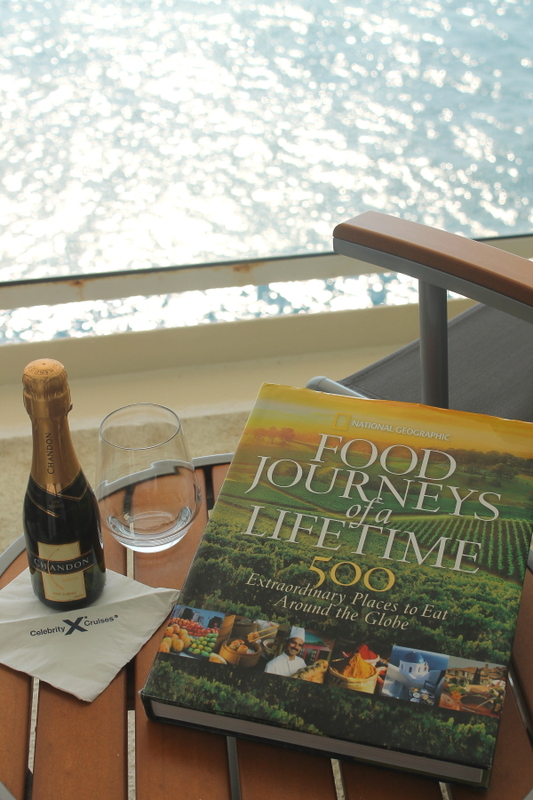 And what a precious time it was – thanks to Celebrity Cruises. 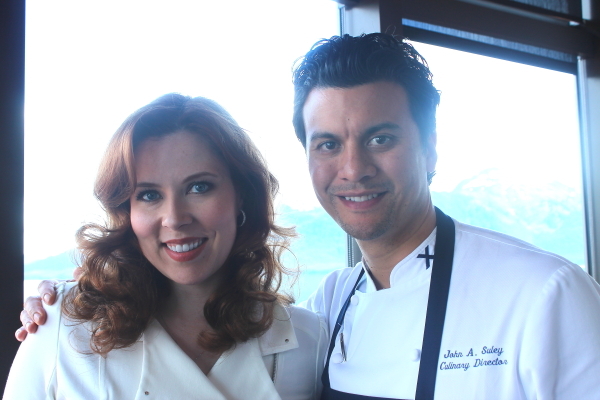 Not only was it a cruise, it was a foodie dream cruise. Now you’ve got my attention. 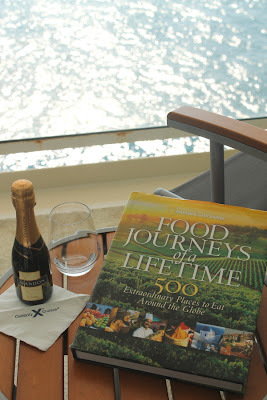 If you love great food and cooking, then the Excite the Senses Celebrity Cruise is for you, and I can’t wait to tell you all about it with day-by-day adventures of a lifetime all this week. Let’s start at the beginning. 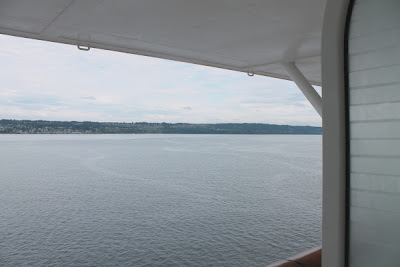 If you haven’t read my two blogs before this one, go read them first, because we started this adventure in Seattle on a Wednesday, and the ship left for Alaska on Friday. Here is the map of our route. After boarding on Friday afternoon, the ship departed at 4:00 pm. This was our last view of the beautiful city of Seattle. This photo was taken from the balcony of our room. 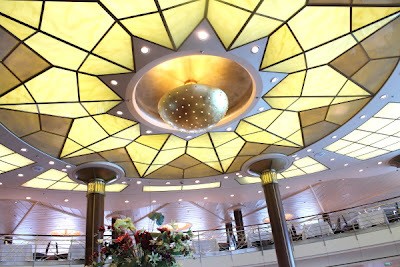 Let me just say – get a room on a cruise ship with a balcony! It’s like being right on the water with a piece of paradise. You will see why in future pictures. The weather was perfect, in the 50’s and 60’s, and the feel of the cool ocean breezes on our faces while observing the majestic world of Alaska is pure heaven. Kristina is already enjoying the view! 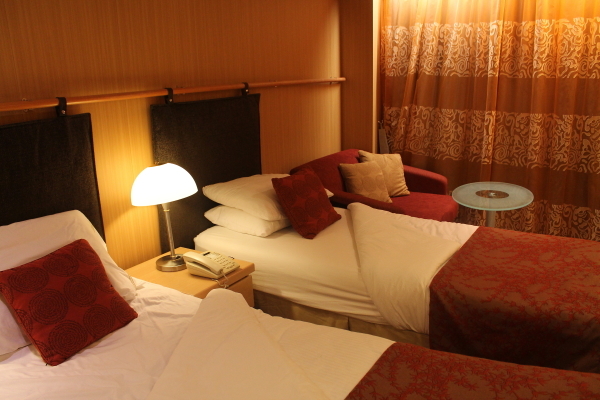 We unpacked and settled into our comfortable room before exploring the ship. Behind those curtains was our balcony, where we spent as much time as we did in the room! One of the first places we wanted to explore was the library. 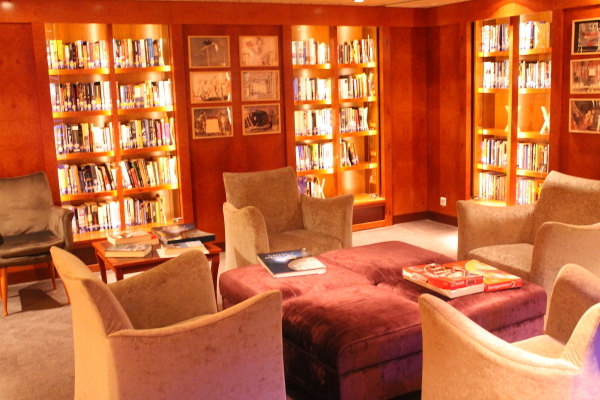 To our delight, it was not far from our room, and one of the coziest places on the ship. Of course, we headed straight to the cookbook section. 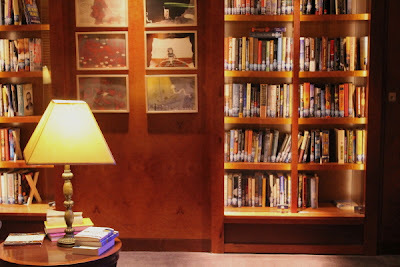 We found a jewel of a book and took it back to the room, where we become completely engrossed in it. Kristina and I both made mental notes to buy this book when we returned home. It’s published by National Geographic, in case you want to find it. It’s about the extraordinary places to eat around the world. We spent relaxing times reading the cookbook out on the balcony. Now that we were all unpacked, it was almost time for our first dinner at “Trellis,” one of the most beautiful dining areas. We walked in and the greeter found our name on a list. We were assigned to table 202, right near the huge front window and the Captain’s Table. The room is stunning – and this is just the ceiling! We delighted in our waiters, Oscar and Franklin. They made us completely comfortable with their beautiful smiling faces and always explained every single dish to us. Each dinner was four courses and the menu listed special dietary needs such as what was gluten free, sugar free or low sugar, or vegan. I’m sure it was appreciated by many guests to have that information. There is a dress code for specialty dining areas. Each day, guests receive a “Celebrity Today” newsletter with information on which port is next, a map of the areas, special excursions available, an hour-by-hour listing of activities, and the aforementioned dress code. T-shirts, swimsuits, robes, bare feet, tank tops, sport caps, and pool wear are not allowed in the dining room or specialty restaurants at any time. Shorts and flip-flops are not allowed in the evening hours. There were five days listed of “Smart Casual” dress, which means for ladies, “Skirt or pants (no holes, rips, or tears) complemented by sweater or blouse.” For gentlemen, it meant “Pants (no holes, rips, or tears) with sports shirt or sweater.” Two of the nights were “Formal.” For the gentlemen, formal meant “Tuxedo, suit, or dinner jackets with slacks.” For ladies, formal was described as “Cocktail dress, pant suit, or gown.” Gown?? Kristina and I discovered we brought the wrong clothes – no gowns. We also discovered that not many women actually wore gowns, so no worries there. 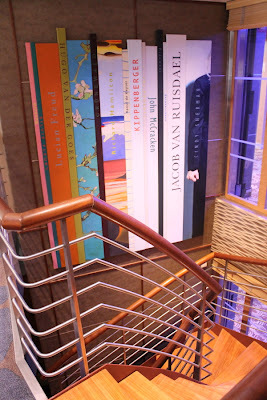 But we saw a few gowns that looked like what was worn to weddings – you know- those dresses you wear once and can’t figure out where to wear them again – which are great for a formal dress on a cruise ship! Every day, there are numerous activities for every age. Kids have special programs, there is always music somewhere, live shows, a casino (with lessons for various games), karaoke, trivia games, bingo, boot camp exercise classes, wine tastings, and late night parties. There is a spa and fitness area. There is so much to do, you could spend your entire time on the ship and never touch foot on land. And if you eat all the delicious food, which is available all the time, you will be happy there is a gym! 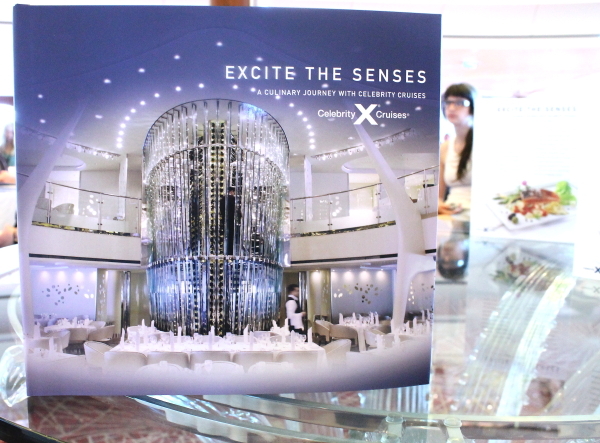 After dinner, there was the first “Excite the Senses” event plus wine tasting, with Chef John Suley, the director of Culinary Operations for Celebrity Cruises, and Nicole Quandt, Director of Marketing for the Wente Family Estates vineyards. Chef Suley is regarded as one of the country’s up-and-coming chefs, and known for his edgy, innovative, and unique style of cooking. He was nominated as a “Rising Star Chef” by the James Beard Foundation in 2010, and a 2007 “Rising Star Chef of American Cuisine.” The chef is a graduate of the Culinary Institute of America in Hyde Park, New York. Nicole Quandt manages all brand marketing for Wente’s lifestyle business and portfolio of premium wines, drives new innovation and exciting brand launches. Kristina and I could hardly wait to get our hands on the “Excite the Senses” cookbook, a huge, gorgeous, and very special book that all you cookbook lovers will treasure. This cookbook is so amazing, and I will be doing a separate blog for it later. After all the excitement of the first day, Kristina and I were looking forward to relaxing in our room and sitting out on the balcony. 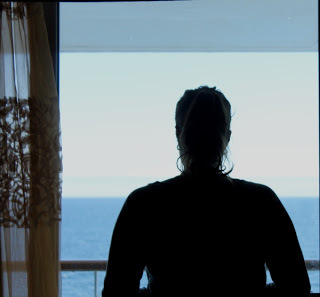 We returned to the room, opened the balcony curtains, and the sea air filled the room. The sound of the water was intoxicating. However, since it was also pitch black, we decided not to sit out there. Instead, we got ready for bed, and looked over the activities for the next day, which would be spent at sea, sailing 628 nautical miles to our first port, Ketchikan, Alaska. Usually on the first night of a vacation, I have a hard time getting to sleep. Not tonight. The ship’s motions were so subtle, it was like being gently rocked to sleep. Oh, yes… I am going to love this cruise.